Takeaway: Construction sites are risky places to work, but they can be made safer by following a few basic tips. Construction sites are not the safest places to work in given the potential hazards found on them. Therefore, it is essential for all construction workers and anyone visiting the site to observe all safety measures, which includes wearing appropriate safety gear. There's no passing the buck when it comes to construction safety – it's a shared responsibility between workers and employers (learn about the Top 6 Construction Hazards and Considerations). Here are three construction site safety basics that should be firmly in place before anyone shows up to work. Helmets and reflective jackets are the most commonly observed protective gear, but people often fail to wear safety boots. Because it's harder to spot a worker wearing the wrong kind of boots, enforcing the use of protective footwear is more difficult. Foot safety shouldn't be neglected. A construction worker's feet are at high risk of injury from heavy falling objects, sharp objects on the ground (nails, glass, scrap metals), accidents involving machinery, electric shock, and chemical burns. Safety boots also play an important role in preventing trips and falls. The extra padding around the ankle improves the odds that a worker will keep their balance and stay upright. Proper steel toe work boots also have an anti-slip sole made of non-conducting and insulating material, which improves grip while adding extra protection against electricity and hot surfaces (to make sure every worker is outfitted properly, see Selecting the Right PPE for Women: Hand, Foot, and Body Safety). On construction sites, it's common to have workers doing various tasks at different heights. 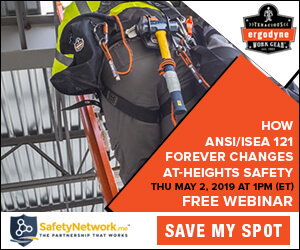 Safety helmets protects the workers from debris and other objects that fall from higher up in the structure (find out whether you need a dropped object plan). Helmets are, moreover, designed to protect the head, eyes, and neck from impact, scrapes, bumps, and electric exposure. According to OSHA, helmets are mandatory on construction sites and employers should provide them to each and every single worker. And these workers should, in turn, diligently wear them at all times, even when there are no apparent dangers. Accidents often happen when workers least expect it, and there is rarely ever enough time to move out of the way or put a helmet back on before it's too late. Above all, training is the most crucial exercise when it comes to safety. Personal protective equipment will minimize harm to workers in the event of an incident, but it is training that creates awareness of the dangers involved in construction work and how to avoid them. Proper training has also proven to be the best and easiest way to promote a robust safety culture. It shows the company's concern and commitment to keeping its workers safe and healthy. Training should be continuous over a period to instill the measures taught and reinforce good practices. By repeated and constant training, workers keep what they are taught at the top of their minds and apply it on a day to day basis. Workers can also be engaged in safety programs by helping review and update them. After the training, the workers should be able to identify potential hazards at every phase of the construction process and be able to put in the right control measures to prevent accidents from happening. In training programs, workers are taught how to be responsible and accountable for practices that put them in danger and risk the lives of other people around them. It is therefore crucial that all safety rules and regulations are defined clearly, and the consequences for failing to follow them are genuinely enforced. After the training, it is good to recognize and reward workers for following through on what they learned. Incentives should be put in place to reward workers who adhere to safe working practices, wear protective equipment, report near misses, report hazards or unsafe conditions, attend safety meetings and training, and come up with ways to make the work site safer (for related reading, see The Pros and Cons of eLearning vs. Traditional Approaches to EHS training). When safety measures are closely observed in construction sites, the worker's productivity improves immensely and timelines for task completion are more likely to be met. It also builds trust and instills confidence between the company's leadership and the workers, while also reducing the number of lawsuits the employer has to deal with.